Joel McDonald is an actor, but hey, we’ve all got problems. Since the age of 7 Joel has had a passion for performance. He soon began acting in plays at school and church, which led to community theatre, followed by high school theatre and speech tournaments, which somehow became a BFA in Acting and Directing from Sam Houston State University. From there, Joel began acting professionally, landing roles in a national children’s theatre tour, several dozen stage shows, and as an extra in a Texas Lottery commercial. 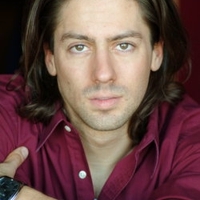 In 2006, after years of freelance stage work in the Dallas-Fort Worth area, Joel stumbled upon voice acting. He was atrocious. Fortunately, and to everyone’s surprise, he was a passable ADR director and adaptive screenwriter, and has worked in some capacity on over 80 titles to date. As a director, Joel has worked on properties such as Tsubasa, Initial D, Heroic Age, Kenichi, Spice and Wolf, Big Windup!, Legend of the Legendary Heroes, Vampire Girl vs. Frankenstein Girl, and Sgt. Frog. Joel has also written on shows such as Claymore, Big Windup!, Ga-Rei: Zero, STRAIN, DBZ: Kai, D. Gray-man, Sands of Destruction, and Linebarrels of Iron. Acting credits include Okami-san (Ryoshi), Sekirei (Minato), Big Windup! (Hanai), Baccano! (Jacuzzi Splot), Nabari No Ou (Yoite), Initial D (Takumi), Rin (Mary), Chrome-Shelled Regios (Haia), D. Grayman (Jasdero), Baka and Test (Kubo), Linebarrels of Iron (Yajima), and Heroic Age (Iolaos). Even as we speak, Joel McDonald is plugging away on some awesome new show he cannot currently disclose. But with a little luck, he’ll be able to tell you all about it real soon.